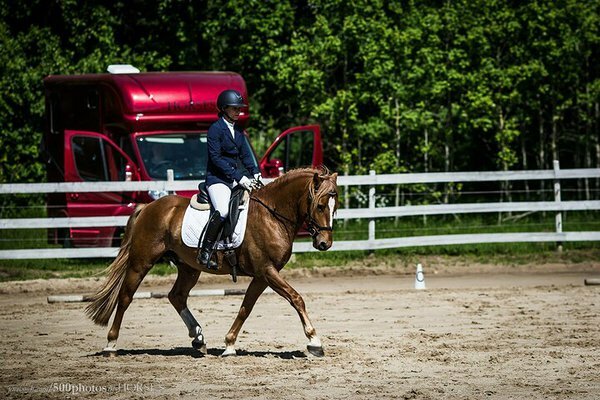 A very talented pony who has a lot to give. He would excel in showjumping /dressage or with the right training he would also do well in eventing. 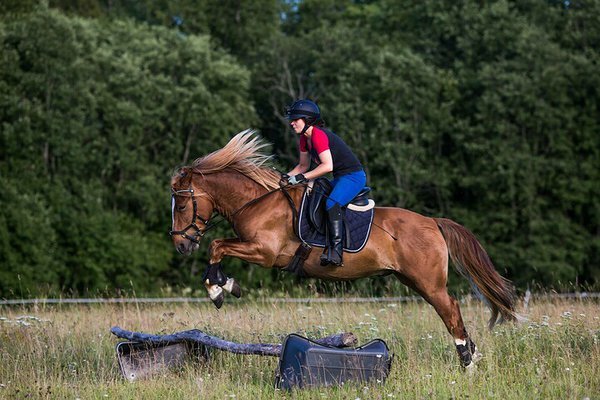 He has jumped small natural obstacles in the field and loved it, has a big, ground covering canter and is brave to the jump. 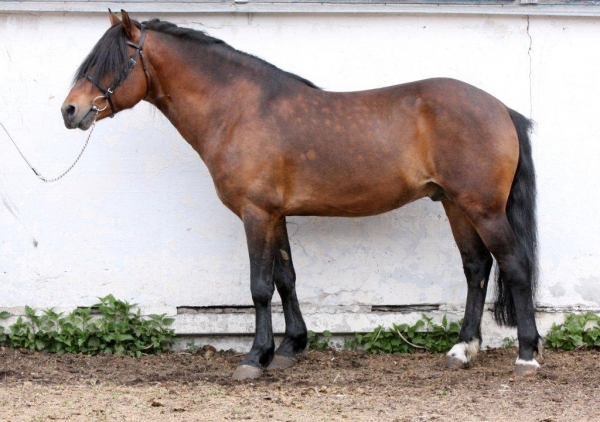 He is for sale from the breeder, has been shown in hand and gotten great results. Was gelded late (at 4), due to getting good marks and breeding license (did not breed, though). 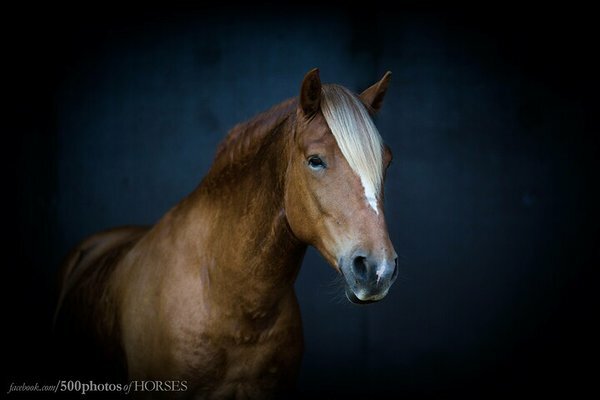 Render is an absolutely delightful young pony, who is very willing and lovable. He is not the kick along type of a ride. He would be suited to a competent teen or an adult rider, who would want to continue his education and take him out to compete and train. 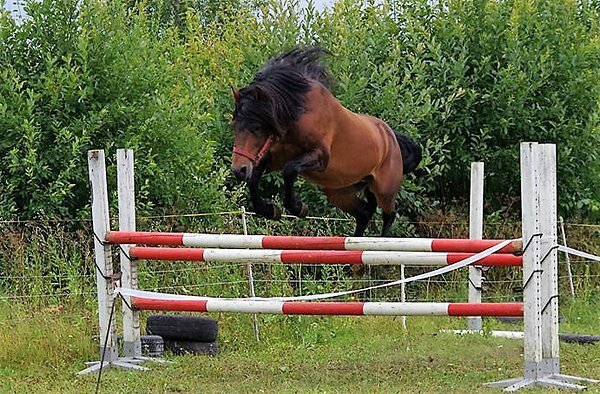 He is happy and ready to jump up to 110cm at home and has competed up to 80cm. 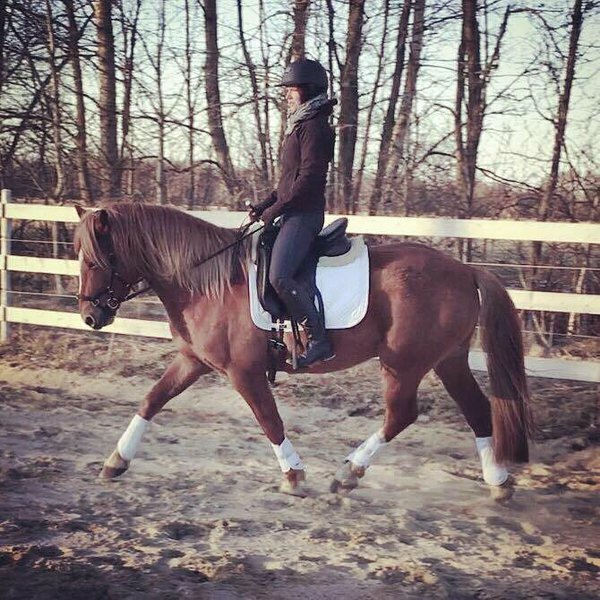 Knows basic flatwork well and goes to weekly lessons. 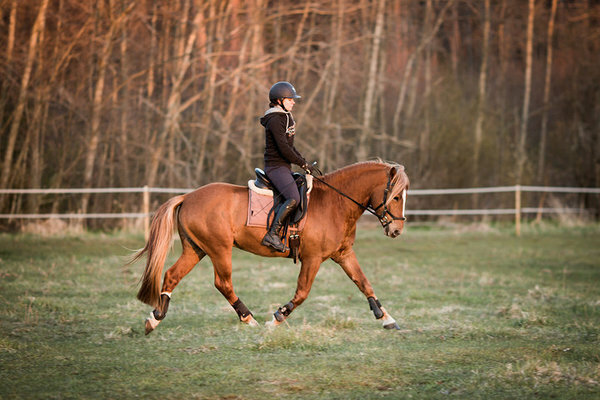 Has a few dressage competition experiences as well (abc,a) and has placed mostly. He is well mannered, regularly shoed, vaccinated, dewormed, has all the documents. Travels in a horsebox or trailer, has been clipped (not full clip), hacks out very happily alone or with friends, has seen deer and foxes, cars etc (is a little bit uncertain about busses and lorries, but doesn’t faint or run). Has lived both in and out and has been absolutely fine with either. I will not sell him to a home where he doesn’t get to go out in the paddock every day.